← £20,000 fine after GII farm demolition, as judge highlights ‘public duty to ensure people don’t just ignore the listing of buildings’. 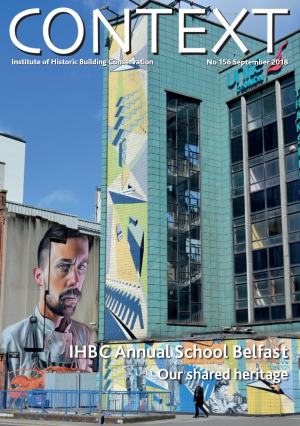 The second session of the IHBC Annual School in Belfast looked at methods for negotiating the conference theme, ‘Our shared heritage’, recognising that negotiation is a key skill and competence for successful heritage project management. Across three sessions the School provided opportunities to evaluate how we communicate effectively about heritage, both in areas of contested or contentious heritage and in situations where additional resources are needed to help make projects happen on the ground. If your own work could benefit from improved negotiation skills, or that this an area where your CPD may benefit from some investment, then try considering the examples as discussed in Context, and consider if your own CPD plan may benefit from strengthening in this area. If so, why not review the examples in discussion, maybe exploring your take on negotiation with a colleague or two after work, with them getting the first drinks of course! 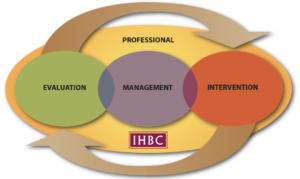 Rosemary Thornber and Rory Lamb wrote on the work of Elena Mamani (vice director and programme manager, Cultural Heritage without Borders): International negotiation strategies: cultural heritage without borders.